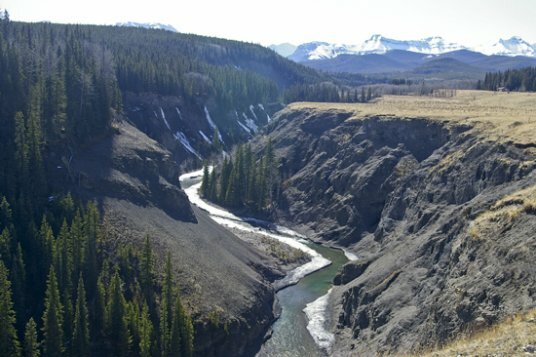 Here are our picks for the best day hikes in the Sheep River Area. 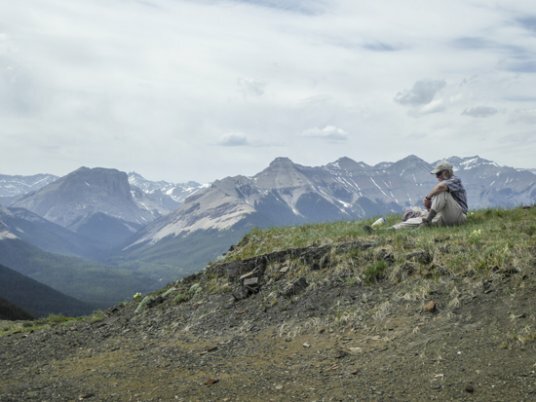 They vary in effort required from an easy walk up Sandy McNabb Hill to moderate ascents of Volcano Ridge and Mount Ware and a long hike to Junction Lookout. 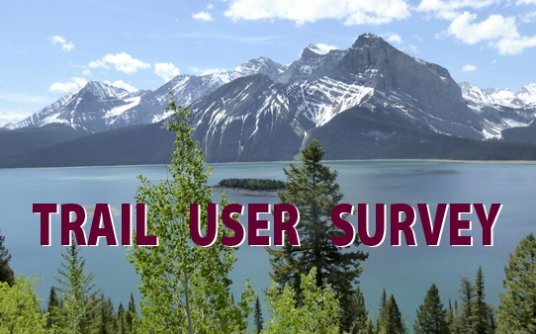 Alberta Parks, with help from The Friends of Kananaskis Country, is conducting a trail user survey throughout Kananaskis parks this summer. You may encounter friendly Friends volunteers at the end of your hike conducting a brief survey using tablets. 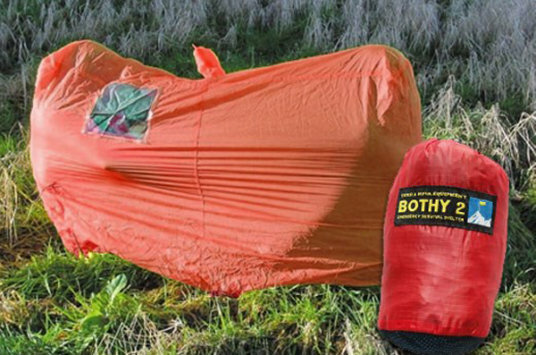 Please give them about five minutes of your time. 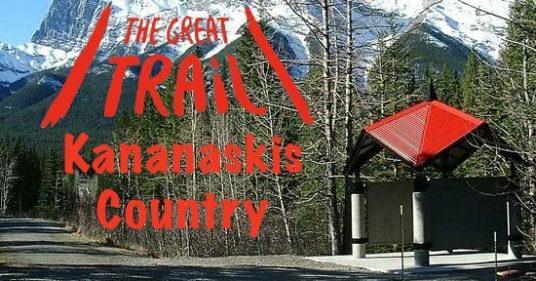 An excellent hike to a tremendous viewpoint 8.2 km return from Indian Oils trailhead in the Sheep River area of Kananaskis Country. 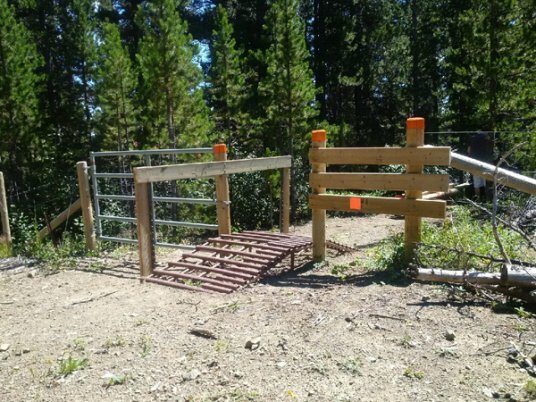 New bridge, well marked trail and no creek crossings. 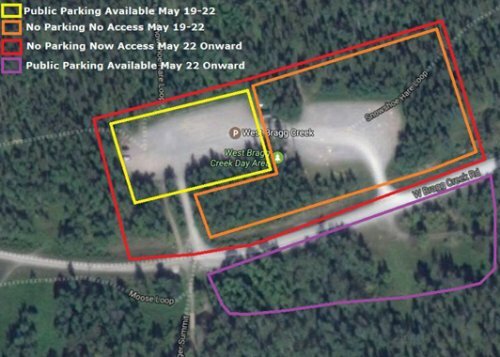 For this long weekend (May 19-22), there will be parking (about 70-80 vehicles) in the yellow area in the image. 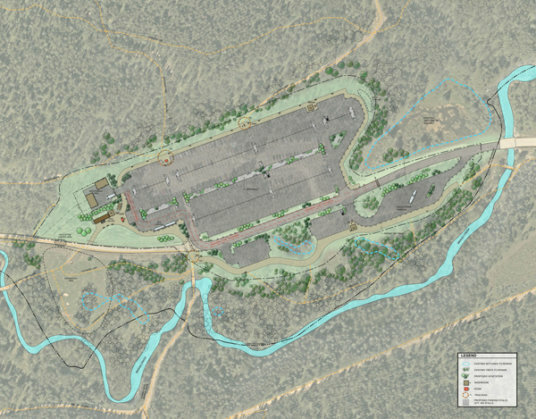 The WBC trails received 36mm of rain and 10cm of snow on May 17, so trails will be wet and muddy for several days. 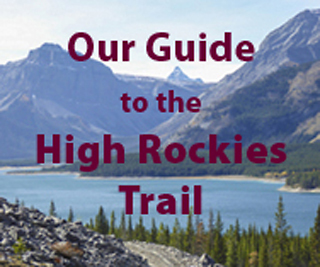 Check current trail conditions on the GBCTA website, before heading out. Peaks at the head of the Spray Lakes seen from one of the burns on the Buller to Chester section of the High Rockies Trail. 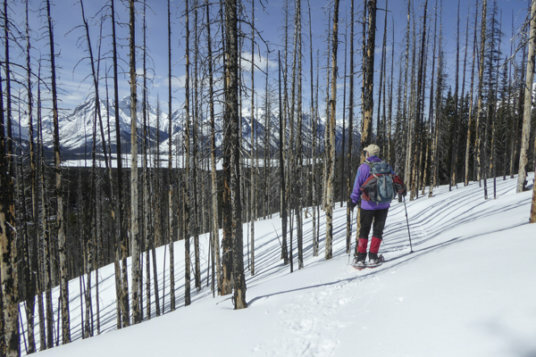 Why not Snowshoe the High Rockies Trail? It may be Spring in the foothills, but there’s still skads of snow in the Smith-Dorrien. Right now is a really good time for snowshoeing, the base has firmed up and the snow isn’t yet isothermal (wet from top to bottom), though it’s getting there. 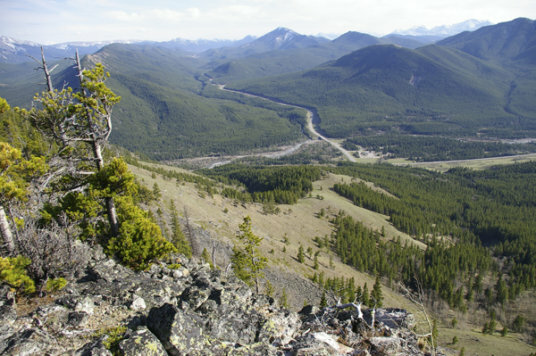 View from Junction Hill across Highwood Junction to the areas to be logged. Mount Baldy from just past the end of the interpretive trail. 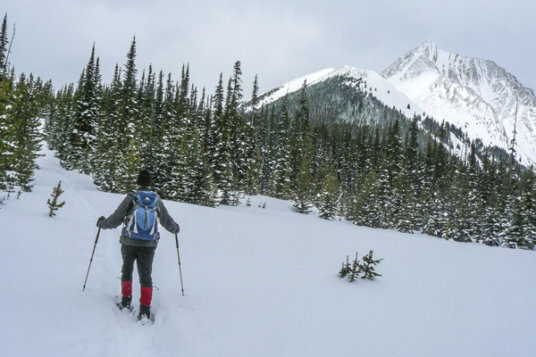 There is significant avalanche danger forecast for this weekend and Avalanche Canada has issued a Special Avalanche Warning. 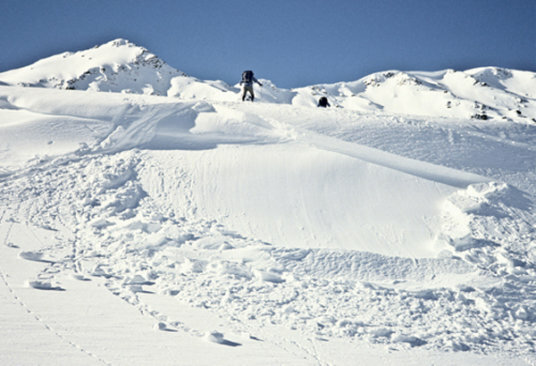 To help you better understand Avalanche Problems I have created a mini-web-site that presents one-page summaries of avalanche types that lead to Avalanche Problems. 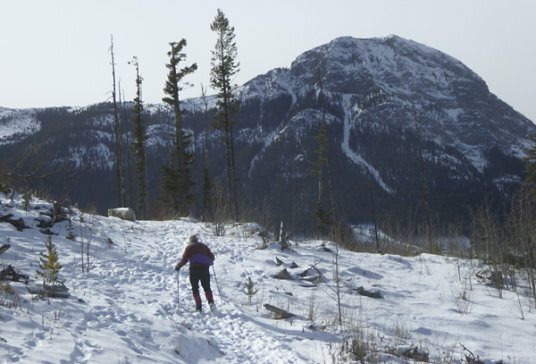 The Smith-Dorrien area with its ample snowpack has some of the best snowshoe trails in Kananaskis Country with something for everyone. 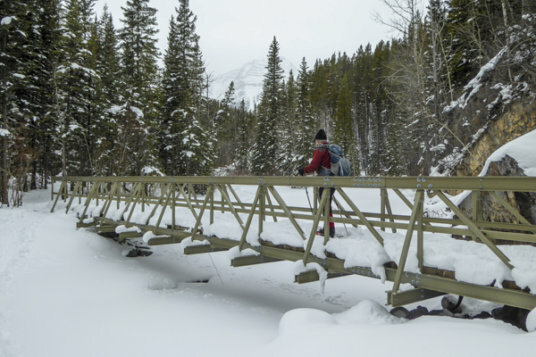 Here I am featuring the Chester Sawmill Snowshoe Trails, suggesting four loops varying from the popular 5.1 km Sawmill Loop to a 13.3 km Grand Tour.